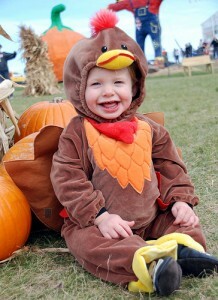 Want to befriend the creatures of the farm, the turkey especially? 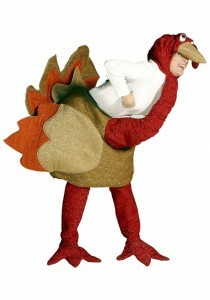 Well, try these costumes in brown and light orange and play your part to get the feel. Grab them fast and amuse others in any party be it a costume party or a birthday bash. 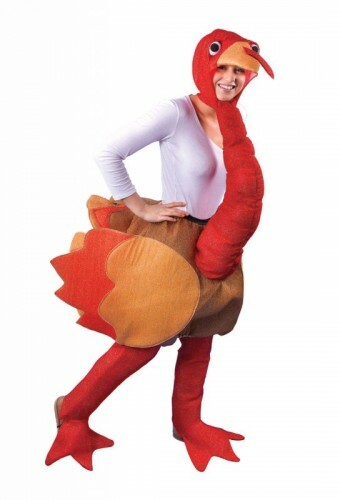 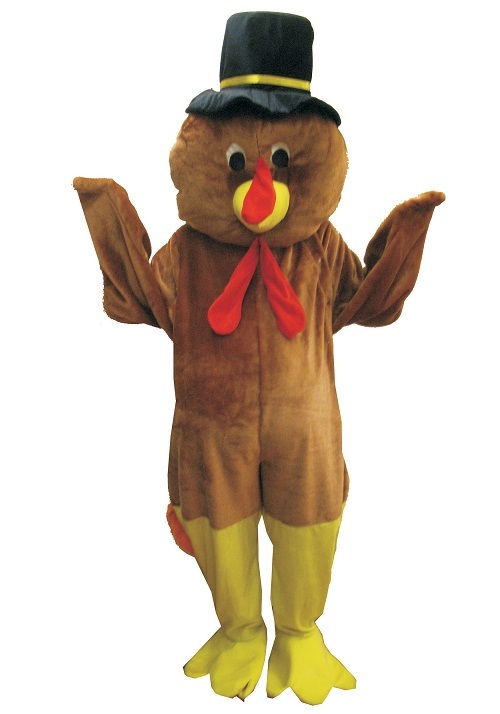 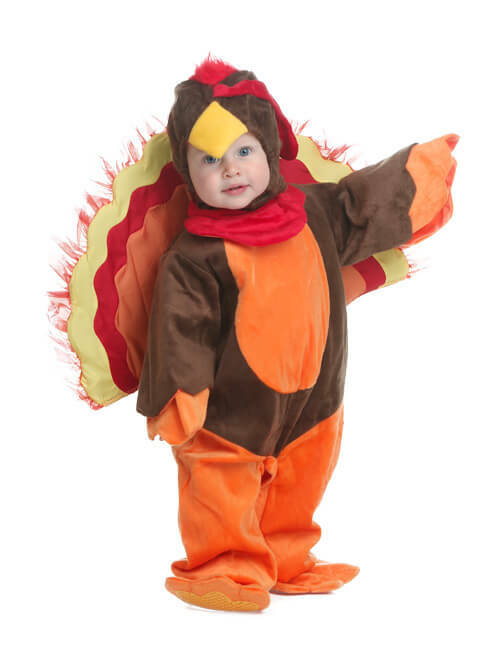 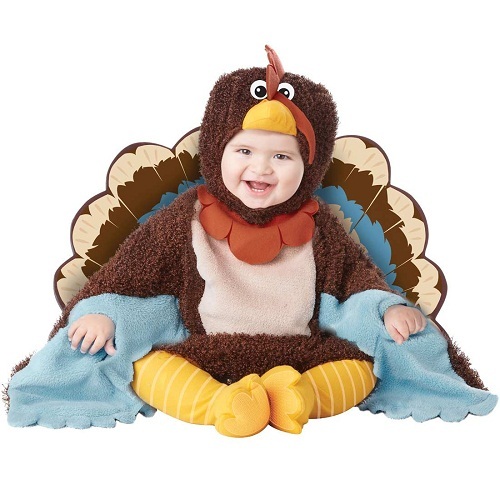 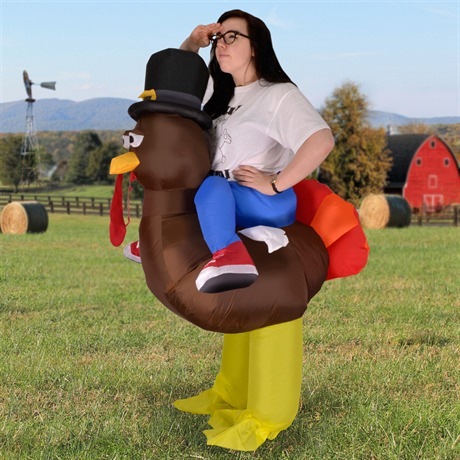 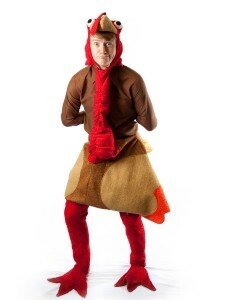 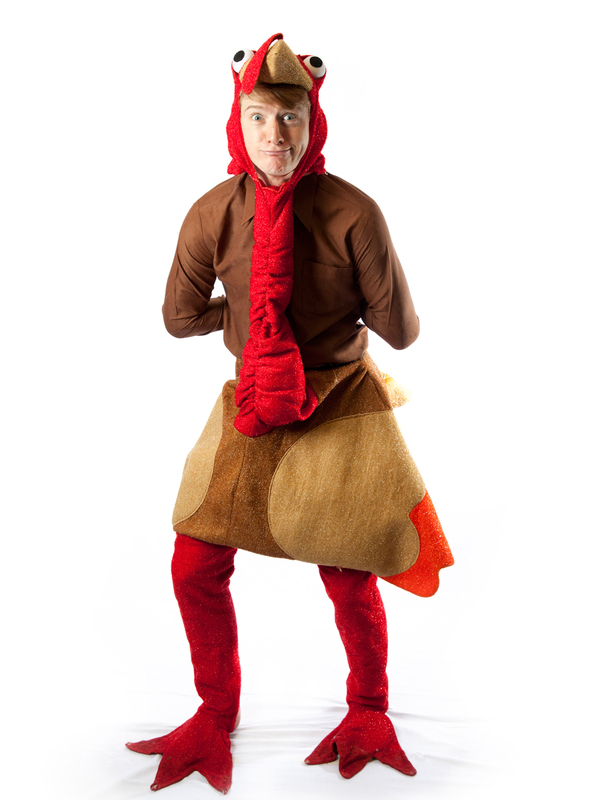 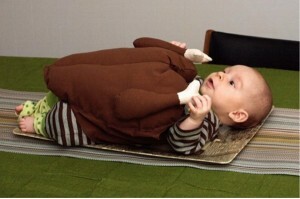 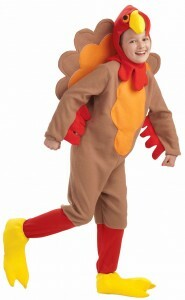 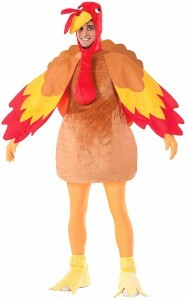 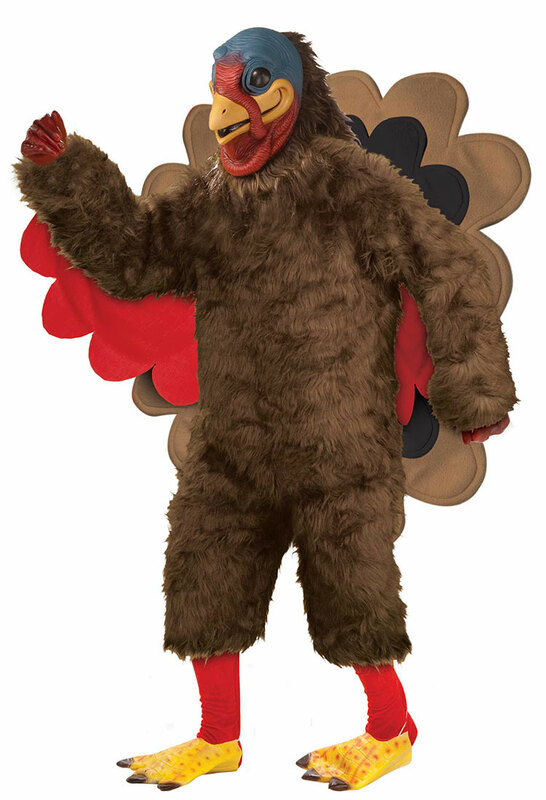 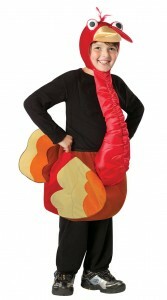 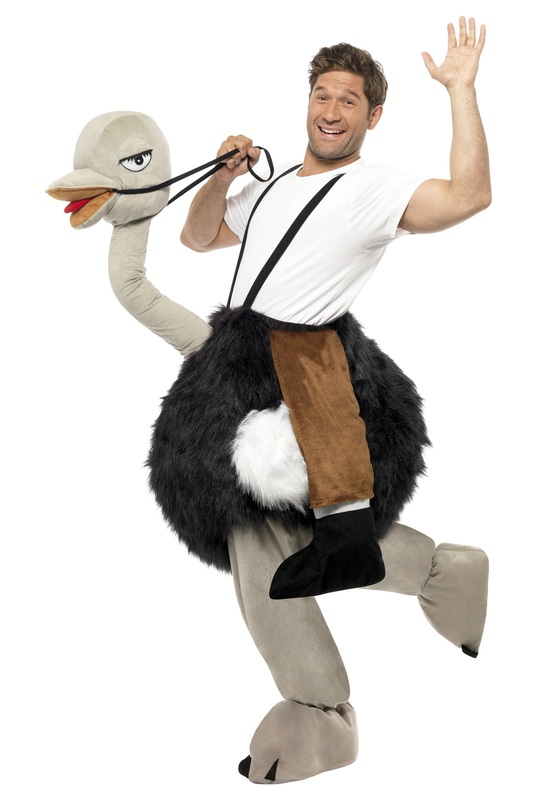 These costumes consist of a fluffy skirt, a hood with a turkey shaped mask and slacks. 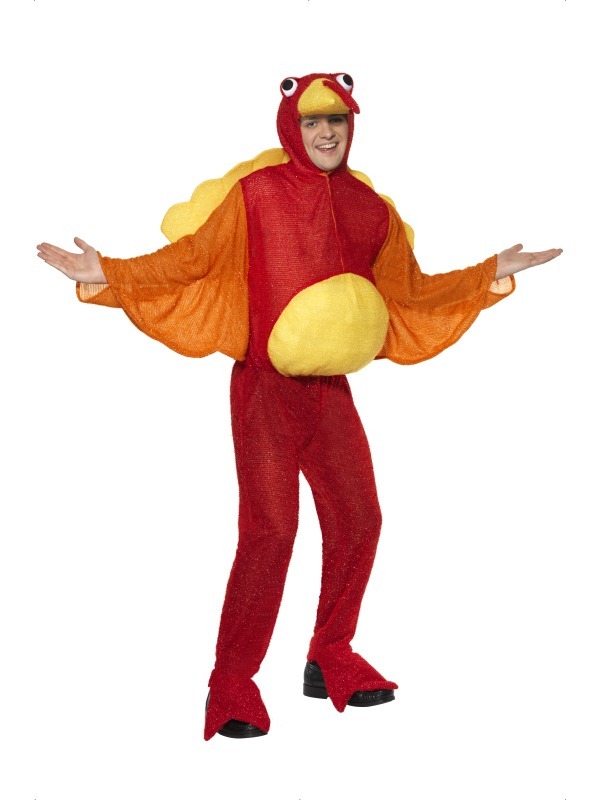 There may be wings and feet enhancements. 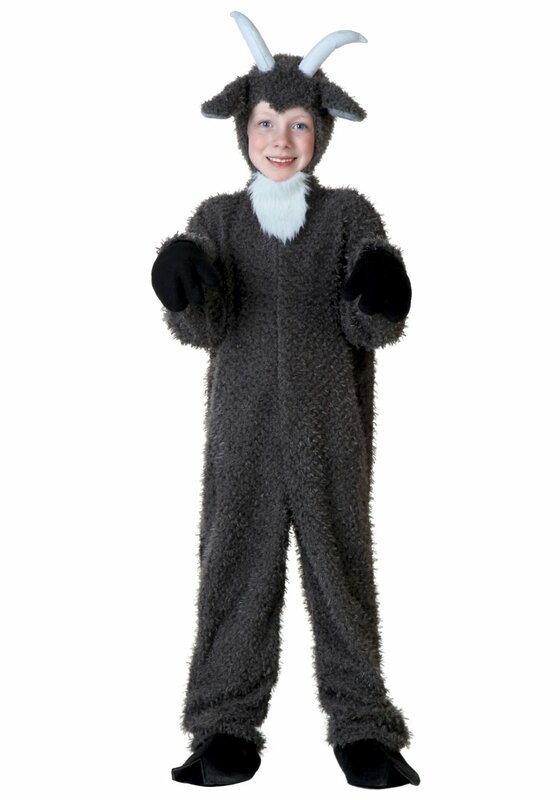 The ones for kids may be variously shaped with fluffy or puffed skirts or single suit pants. 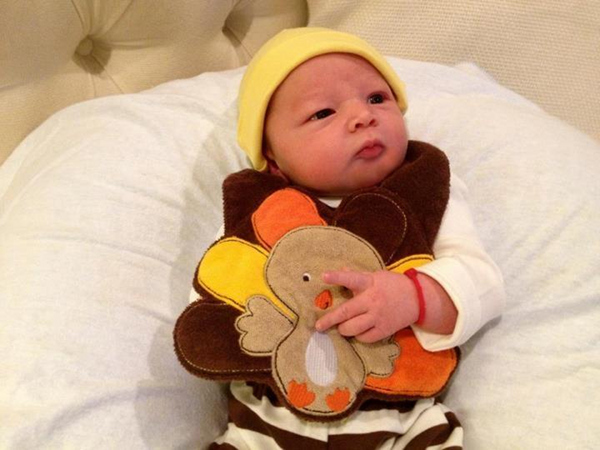 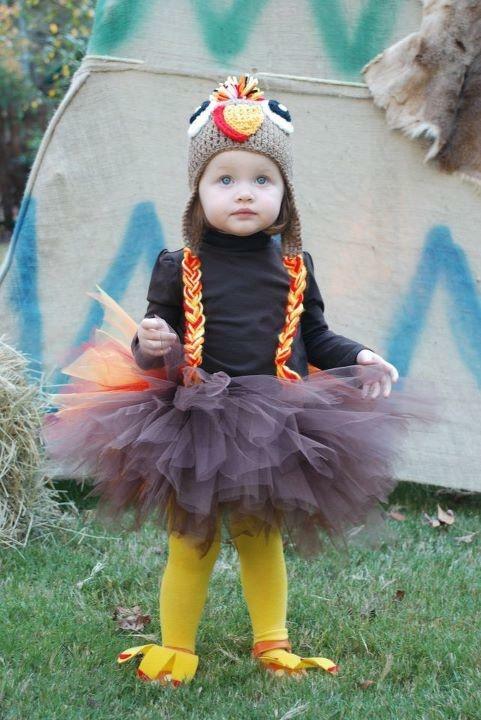 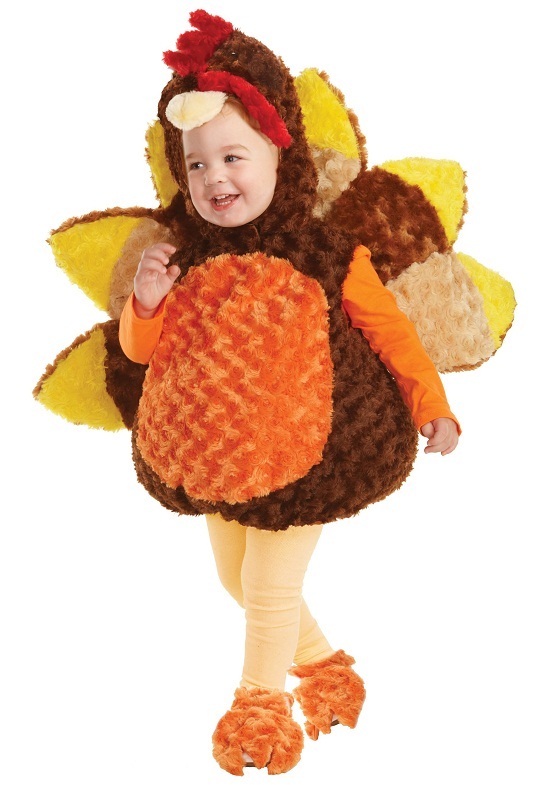 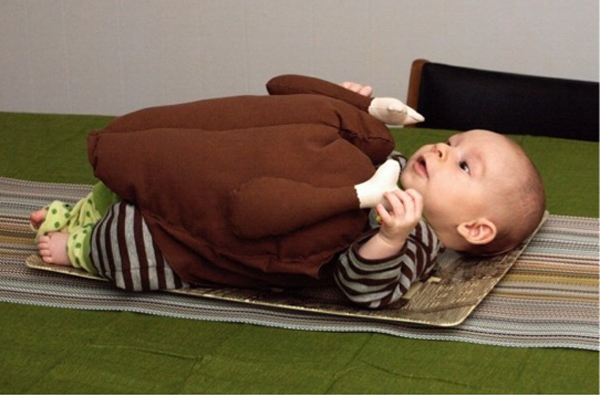 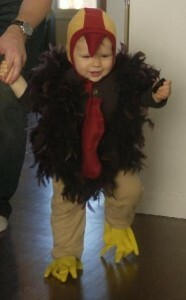 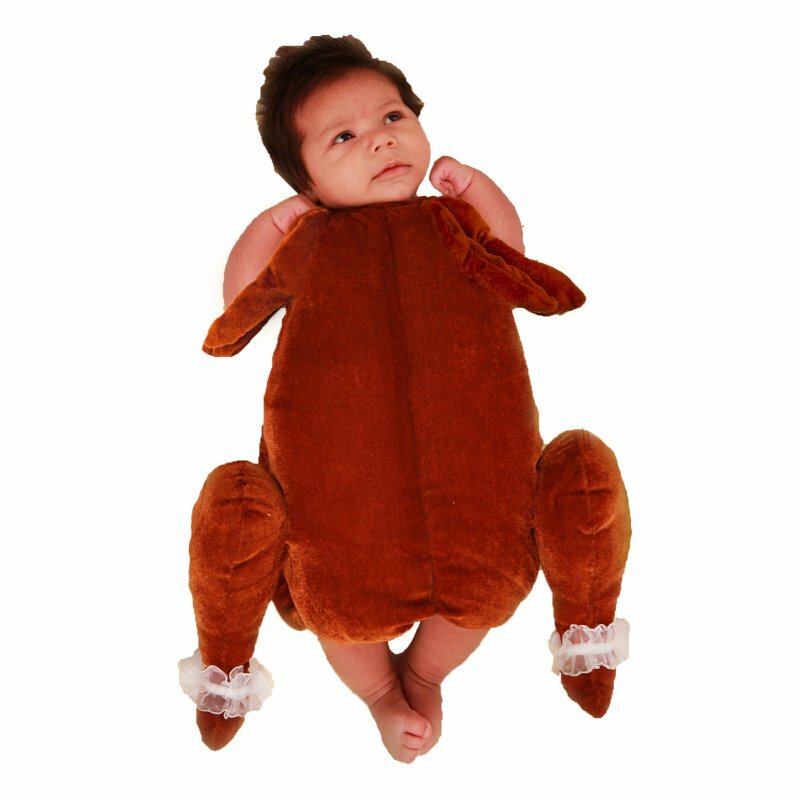 This one is cute with a brown turkey shaped cap and a decorated skirt.